Today is the LAST day that there will be NO baseball till November which makes the PERFECT time for me to make a pick for the World Series that is DEFINITELY going to be WRONG. Last year, I picked the New York Mets to beat the Texas Rangers in the World Series, but NEITHER team made the playoffs so I am really SORRY to the TWO teams I am picking. Over the last TWO days, I previewed BOTH leagues in Major League Baseball and picked the TEN teams that I think will make the playoffs. 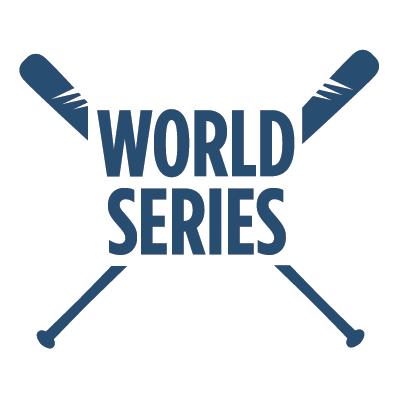 Today I will pick TWO teams out of the ten to make it to the World Series and one of them will LIFT the trophy at the END of this season. In the American League, the team to BEAT is the DEFENDING World Series Astros, but I think they will not get to the ALCS and LOSE in the first round. The Astros will batting lineup is PRONE to strike out a LOT and I think that will be their DEMISE in the Playoffs. The Yankees have a GREAT roster but I think they will lose to the Indians in the playoffs this time around. The two teams played last season and the Yankees WON game FIVE of the ALDS to advance to the playoffs but the Yankees are STREAKY like the Astros and I think their offense will be SHUT down by the Indians’ bullpen. The Indians will return to the World Series this year after LOSING game SEVEN in 2016, this time around they have a BETTER offense than that time and as their team gets more EXPERIENCE throughout the season, they are going to steamroll in the playoffs and will represent the AL in the World Series. In the National League, the Cubs will DESTROY their opponent in the NLDS and get to the NLCS. They have the BEST young roster in baseball and that roster will help them get to the NLCS this season. Even though the Cubs have a GREAT team they will not get back to the World Series and will LOSE in the NLCS for the SECOND year in a row. The Dodgers and the Nationals will face in the NLDS and it will be Bryce Harper and the Nationals DOMINATING the NLDS and getting to the NLCS. The Dodgers offense does not have that STAR go-to CLUTCH player and that will hurt them in the playoffs and they will not be able to DEFEND their NL championship from last season. This is the year that the Nationals get OVER the hump and get to the World Series for the FIRST time since the team moved to Washington. Bryce Harper is leaving the time after the season, so he will play GREAT in the postseason as his PARTING gift to the Nationals fan base. In the World Series, the Indians and the Nationals will face off for SIX games but it will the Nationals that win that game SIX and lift the World Series. The Nationals have the BEST rotation in all of baseball and if ALL the pitchers can stay healthy in the playoffs than they are going to be UNBEATABLE in the playoffs. MY pick for the World Series this year is the Washington Nationals over the Cleveland Indians in SIX games. I will be SHOCKED if it is CORRECT and want to apologize to BOTH fan bases in ADVANCE for their struggles this season. Well that ENDS my previews leading up to baseball season, tomorrow around this time games will already have been started so I will be GLUED to my TV watching as many games I can. Have a great season and come back here in November to see how WRONG I am.